What’s the first association at the moment you hear Albania? I guess most of you have never even heard about Albania. For the rest, it’s an unknown country, thrown in the middle of nowhere, considered uninteresting, out of the travel paths, unsafe, scary, not worth to visit… What if I oppose, you were completely wrong in those assumptions and Albania is about to become a real European travel gem? Shocking, isn’t it? If I say, I was not interested in visiting Albania it would be false. 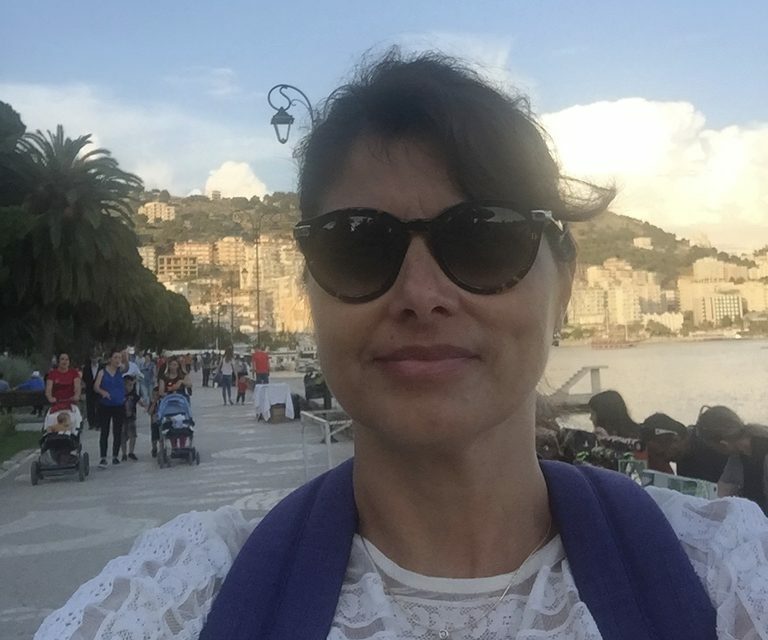 On the contrary – Albania was already in my travel bucket list, but I did not have any plans (at all) to complete it in May, an extremely busy and hectic month for me. Albania came as a summer rain, popping up from nowhere. One of those weird journeys you get aware today you are going to travel to tomorrow. That’s what literally happened to me. My Albanian travel began from Thessaloniki, the second biggest Greek city, located in Northern Greece, right on the Aegean Sea. Early in the morning, before the sunrise, still dizzy and quite sleepy, I wasn’t curtain if the usual travel bug/butterfly is already awake, as I did not feel the regular thrill yet. Maybe because I had no idea where I am going to and what to expect. 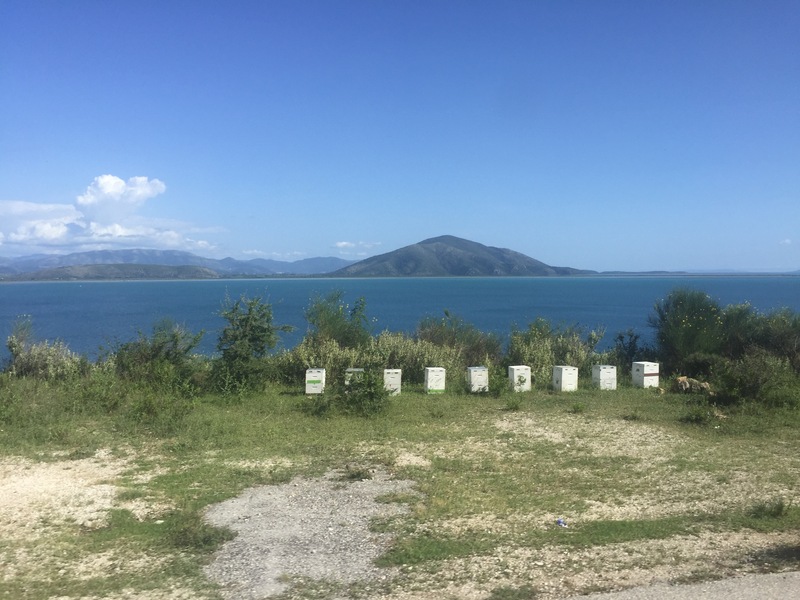 It took about 6 hours by car, with some stops, to get to Southern Albania, my exact target. 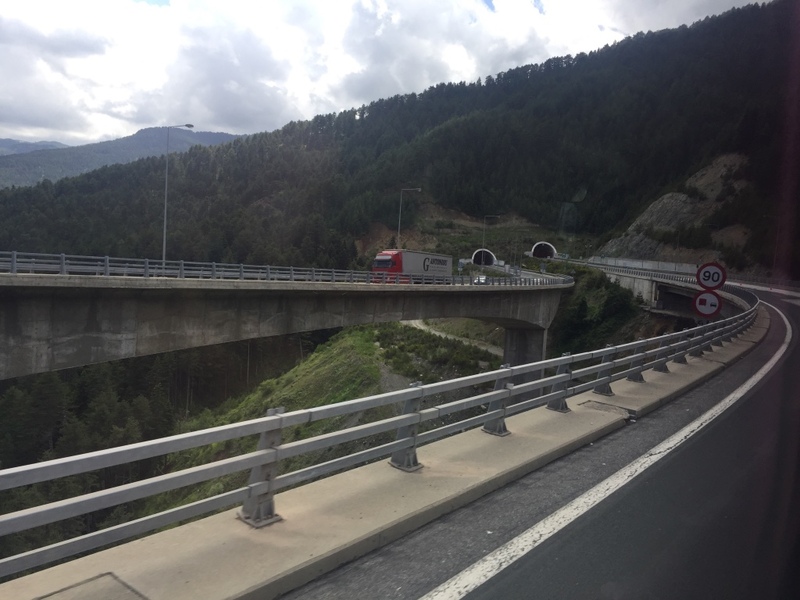 From Thessaloniki the road is really speedy and comfortable, through the new highway Via Egnatia. Calling it “new” is not quite correct, because it follows literally the route of the ancient highway, from Durres (nowadays in Albania) to Constantinople (nowadays Istanbul, Turkey), built in 2 AD by the Romans. The archaic Roman road has been 6 meter wide, covered by tiles. Where the tiles were missing, the road has been shaped by sand. The full length of the Roman highway was 1120 km, meant to link the Roman colonies at the Adriatic Sea with Bosphorus. 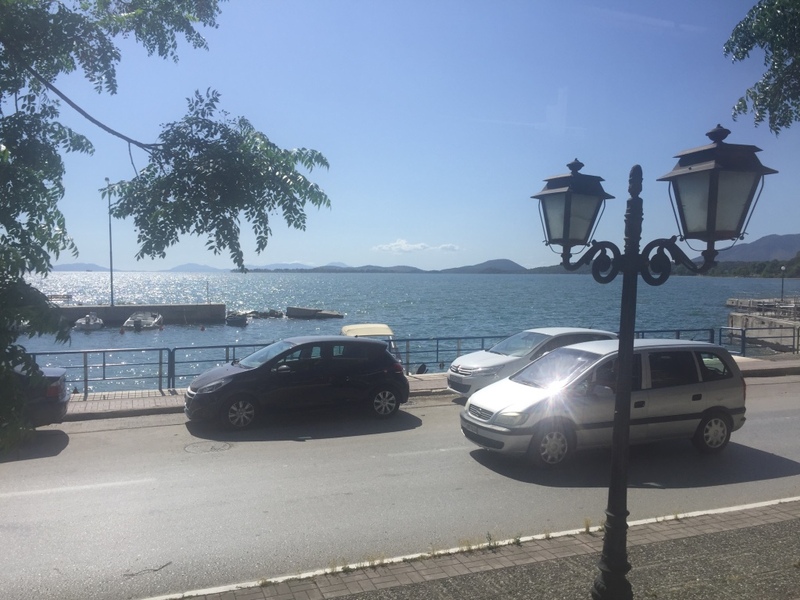 Unfortunately, the rebuilt contemporary road is half shorter, connecting the Greek harbor of Igoumenitsa at Ionian Sea with the last point at Greek-Turkey border. The roadway was named after the initiator of the ancient construction, the Roman consul of the province of Macedonia – Egnatius. Almond, peach, apple, apricot and olive trees surround the route to Southern Albania. The greenery everywhere is unbelievable. I should admit the most boring part is the last quarter of the road, where, while crossing the mountain of Pindus, the path follows the long series of tunnels. The vehicles there go out from a tunnel to literarily get in the next one. It’s a huge relief to finally see the Ionian Sea on the horizon, between the hills and to reach Igoumenitsa, a typical Mediterranean town, just 10 km away from the Albanian border. Well…speaking about borders, you would never see a sign for a checkpoint or country border. I have been told the Greeks are still unhappy for losing about 20% of, historically, their land of Epirus, nowadays Southern Albania. That’s’ why they deny to admit any Albanian features nearby, able to split that territory. The trick to find and reach the border is to follow the signs, leading to the last Greek village, called Mavromati. 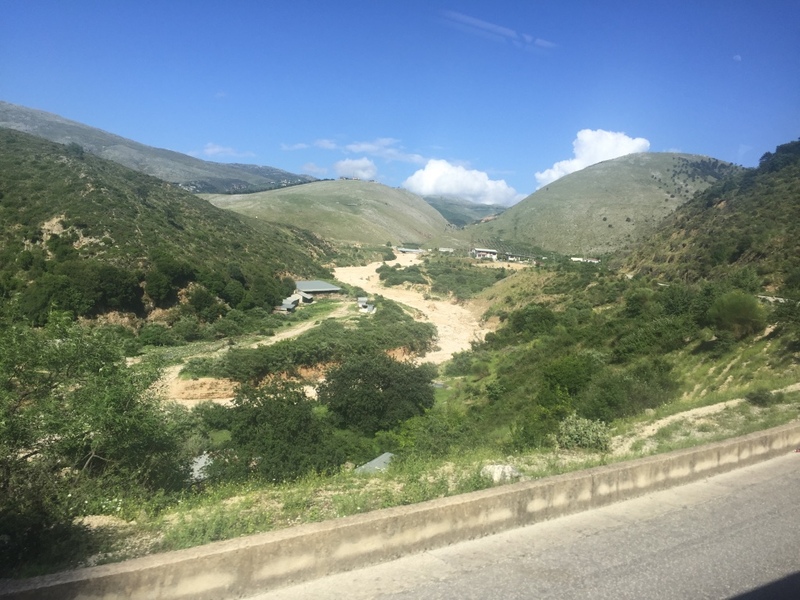 Going to Mavromati, in fact brings you to the Albanian border. 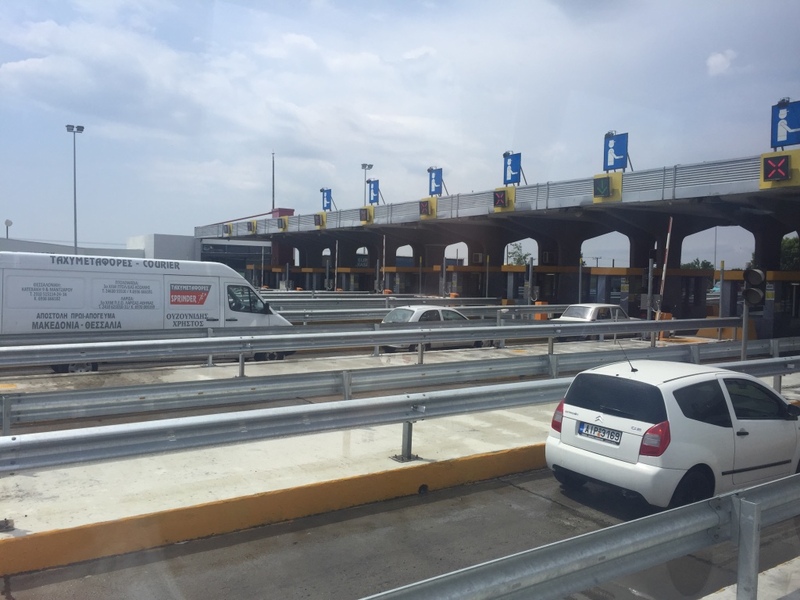 The EU citizens could cross the Albanian border armed with an ID, no need of a passport. I should admit the lands beyond the checkpoint are breathtaking. The landscape and the greenery there look much more tropical than the Greek side of Epirus. The hills are soft, round and friendly. In between, large lakes and limpid rivers. Stunning views to the Ionian Sea from the partially panoramic roadway. On the way to Saranda (spelled also Sarande or Saranta), the famous south most city of Albania, fruit forests with oranges, lemons and clementines could be seen. Flocks of sheep are crossing the roads often, so the vehicles could be stuck for a few minutes, while waiting for the animals to go their way. I heard the reality here was capsuled for so many years, untouched by the Western civilization, that the agriculture is mostly bio and eco, just following the old traditions and the local culture of those lands. I was impatient to try the local salads, as I was told the tomato here smells and tastes as tomato, the cucumber smells and tastes as cucumber. The unpleasant plastic taste of the greenhouse grown vegetables is unknown in Albania. The air is pure and fresh. The sea is limpid and transparent. The service and stuff are cheap, at an acceptable quality. That’s what I expect to discover, beyond the rumors. Well…the first impression, despite the nature, is a bit confusing. The road was quite a poor quality. Along the way lots of rubbish and chaotically thrown construction debris. The backside of the cities looks as a messy storage. The rural style of life is all around, but you know what, it’s such a thrill and excitement. And then, suddenly, a splendid view to the Ionian Sea pops up, along with the Greek island of Corfu just in the middle of the image. It’s so unusually controversial, that you don’t have time even to exclaim. Corfu is just 2-3 miles away. Not sure the distance could be swam, but seems easy and appealing to be sailed. The good news is, because of this proximity, I was able to easily keep my Greek mobile provider, having extremely cheap roaming service, instead of the Albanian much more expensive one. I would recommend skipping the automatic regime and to manually switch to the offered Greek mobile service providers – it’s worth it. In Albania the local currency is Lek. The Albanian Lek (ALL) is getting more expensive year by year. As I have been told, 3 years ago 1 Euro was equal to 140 ALL. At the moment an Euro is about 128 ALL. But it’s still extremely cheap, comparing with the rest of Europe. An espresso or a similar type of coffee is 0,80 Euro. A bottle of the local beer Korca (Highly recommended!!! )is 1 Euro, a glass of Raki – 1 Euro. The local pride – cognac, 750 ml bottle of the most popular brand Scenderbeg costs about 3,5 to 4 Euro. Half price for the other local pride – goat cheese(Highly recommended!! )about 2 Euro for a packed vacuumed half kilo piece. You should taste the local ice cream. It’s a delicious culinary gem. The Albanians believe they invented the ice cream. The problem is the Italians believe the same. JI can’t decide which one is better, but being in Albania is worth to try the local one. One scoop is about 50 ALL (0,40 Euro) – Highly recommended!!! That’s’ all from my first impression of South Albania. I’ll be around for the next three – four days and am determined to explore as much as I can. I’ll be visiting the legendary tropical paradise of Ksamil beach. On the way to the beach, I’ll take a detour to Butrint, the stunning historical sight, inhabited 12 centuries BC. 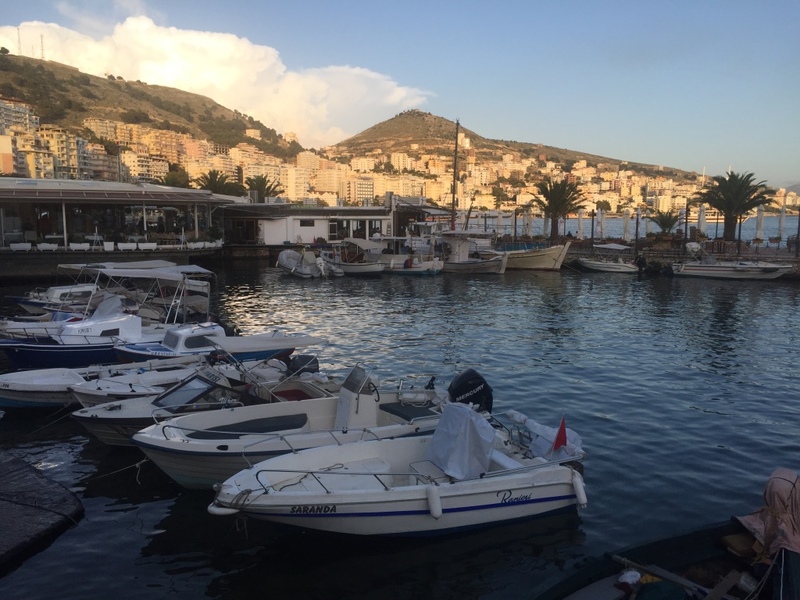 I am going to wander Saranda’s streets and to discover most of the peculiarities of this stretched between the communism and the modern times city. 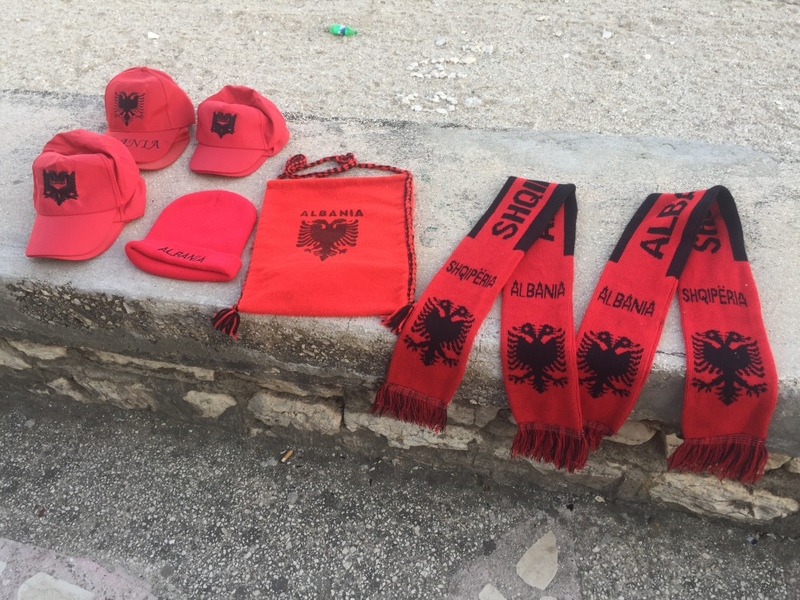 Hopefully, I’ll have enough time to complete my speedy scheduled Albanian travel plans.In the next articles, I’ll keep you updated if I was successful. At the moment I feel blessed and grateful for having the chance to be on this mind blowing last minute trip to Albania.